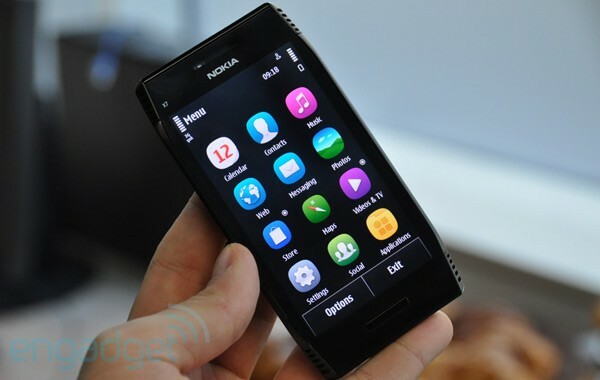 Nokia changed the way symbian devices used to look with their latest Symbian Anna OS, Symbian Anna comes with a New fresh look and icon set. If you are a Symbian^3 device user then you can upgrade it to New Symbian Anna OS using Nokia Ovi Suite. 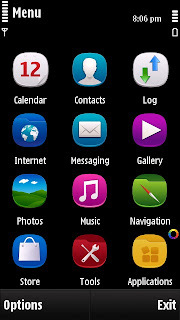 Unfortunately the OS upgrade is not available for Symbian S60V5 devices, But you can still enjoy Anna look on your old S60V5 Device using this theme. The below theme helps Old S60V5 and New Symbian^3 device users to change Homescreen Look to Anna and feel the awesomeness. The theme is also good for those who don't want to upgrade their phone's OS but still use the new look, The theme is light and doesn't slow your device. It is removable whenever wanted. Change your Phone's Appearance with this stylish Symbian Anna Theme. Supported Phones: All s60v5 and Symbian^3 phones like Nokia 5230, 5233, 5800, N8, C7, 5530 etc. To Download this Theme Click the above link and Save to your Computer. If it asks for Certificate, Sign it with Free Signer app and it will work fine. Restart your phone after installing this theme for better performance. Comment here if any problem installing. If the above Download Link Doesn't work then Click Here to Download.